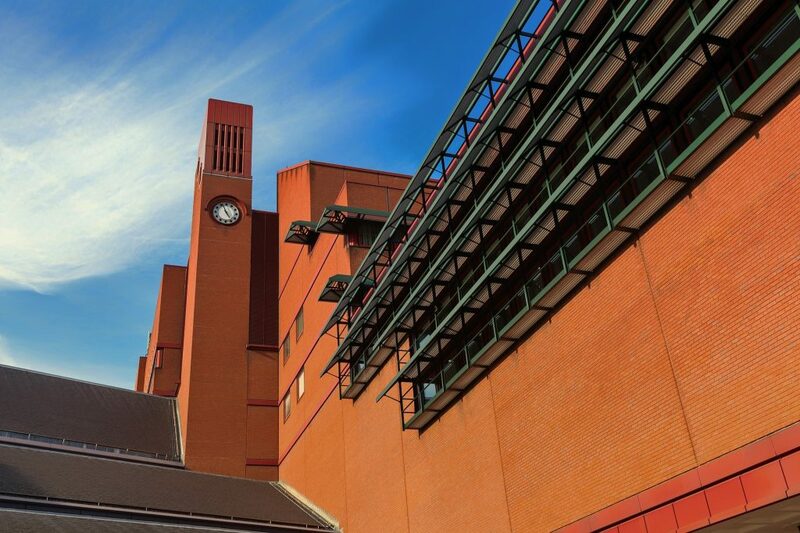 Take a literary themed walk with our Blue Badge Guide, Diane Burnstein. One of my favourite tours is the Bloomsbury tour which starts at the British Museum in Russell Street. The Parthenon Marbles inspired the poet Keats when he wrote his “Ode on a Grecian Urn” in 1820. . The wonderful circular Reading Room was the place where every famous author resident in London came to work. George Bernard Shaw, Thomas Hardy, Karl Marx and Sir Arthur Conan Doyle were just some of the famous names who spent much time in the Reading Room. 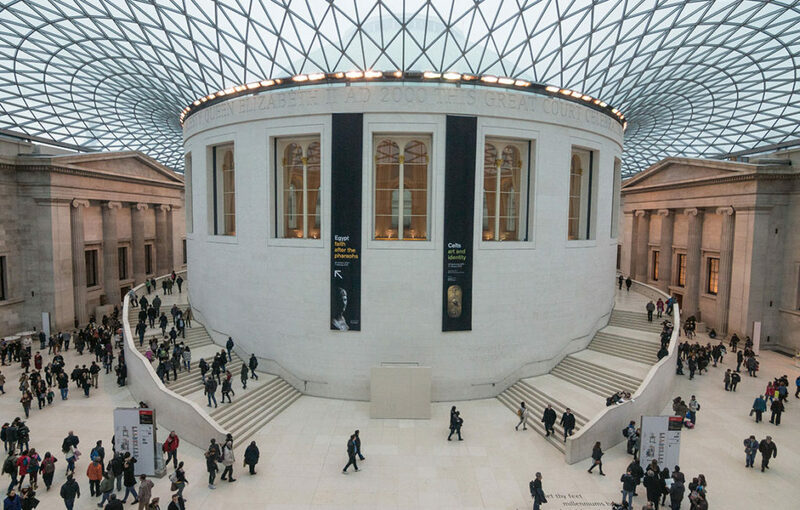 The British Museum inspired many British writers over the years. Walk on to Malet Street to view the Senate House of London University. The building, designed by renowned architect Charles Holden and opened in 1937 and is said to have inspired George Orwell when he was writing “1984” in 1848. Walking on to Russell Square you’ll find a corner house with a brown London Borough of Camden plaque to honour poet and playwright T S Eliot. Now the offices of SOAS, this building was once the headquarters of publisher Faber and Faber where Eliot worked for 40 years publishing the work of fellow writers such as Stephen Spender, Ted Hughes, W H Auden and James Joyce. Heading over to Gordon Square you can view the homes of the Bloomsbury Set, a group comprised mainly of writers and artists who met every Thursday to discuss ideas about life, love, art, literature and current affairs. Plaques mark three of the homes where leading Bloomsbury set members including author Virginia Woolf. Leaving the gardens, head northwards you see a blue plaque on the side of the British Medical Association’s headquarters commemorating author Charles Dickens. 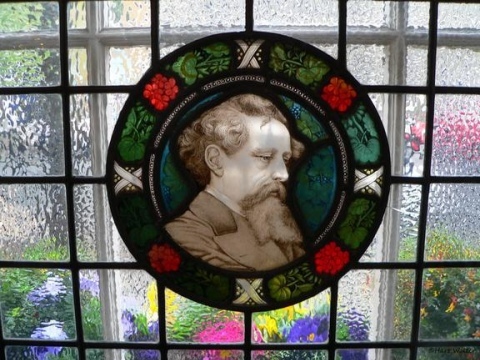 Not too far from here in Doughty Street is the Dickens Museum. Continue walking with the Dickens plaque on your right until you come to Woburn Walk , where you’ll find two commemorative plaques. One is to 20th century novelist Dorothy Richardson who pioneered the “stream of consciousness” style of writing that Virginia Woolf made famous. The other marks the home of Irish author William Butler Yeats who lived here from 1895 to 1919. Walk on to Euston Road to the British Library. Head for the Ritblatt galleries where you can finish your walk by looking at the historic documents on display including the famous Magna Carta. The literary exhibits are regularly changed around but if you’re lucky you’ll see manuscripts relating to some of the characters we’ve “met” on our walk through Bloomsbury.